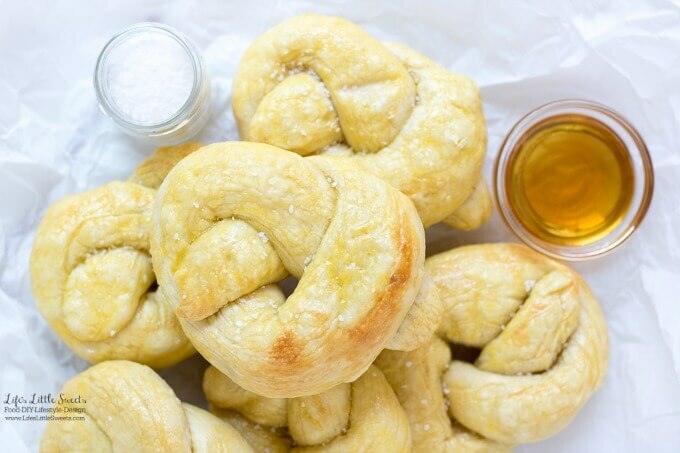 Hi Everyone, I love pretzels, especially, when they are fresh baked and homemade like this Homemade Pretzels Recipe. 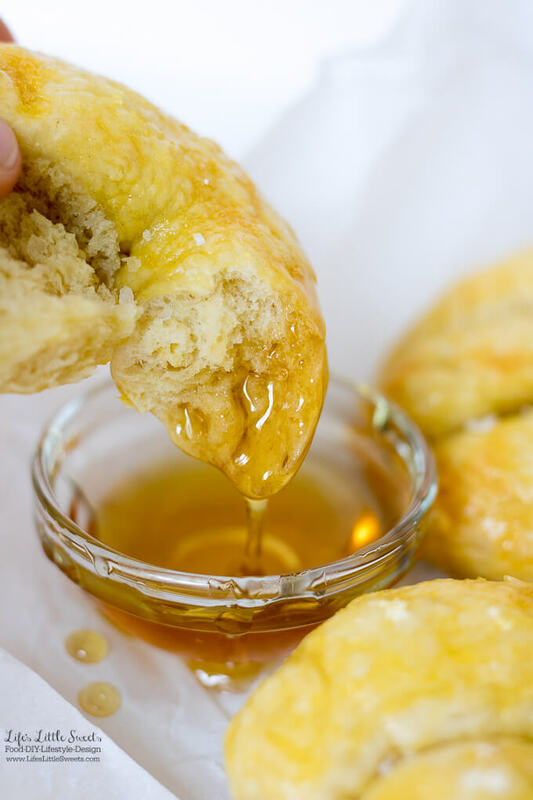 They go amazingly dipped in wildflower honey to get that sweet and salty flavor combination. Special thanks to Lucile, our French cousin who’s visiting this Summer, for having the idea to make this recipe for the blog. I’ve wanted to do a pretzels recipe for awhile and just haven’t gotten around to it. 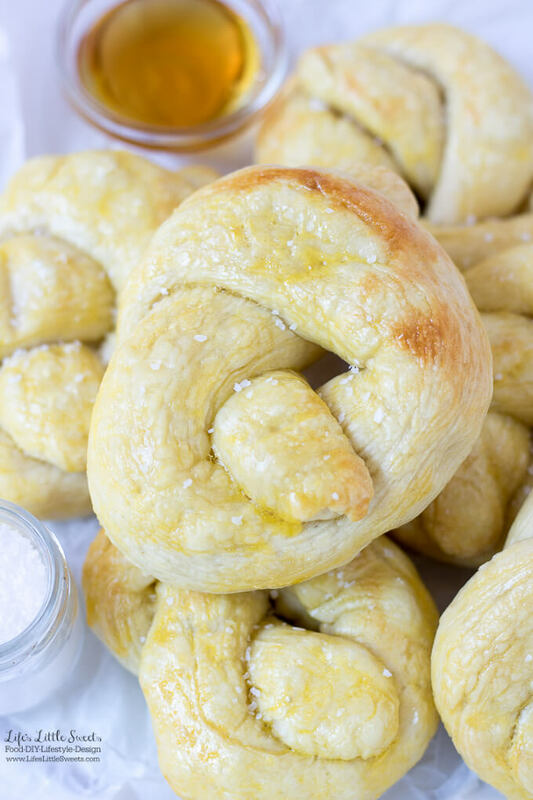 I know you will love this Homemade Pretzels Recipe! For active dry yeast: place the milk in a small bowl and sprinkle the yeast over it. Let it dissolve for 5 minutes and then stir with a spoon. For quick-rise yeast: Sift the yeast into a bowl with all the dry ingredients. The yeast gets activated when the milk is added. In a large mixing bowl, mix the flour and 1 teaspoon of the salt together. Make a well in the center and add the yeast mixture, plus 2 eggs. Whisk the ingredients together with a fork. Bring the mixture together with your hands OR use an electric stand mixer with a dough hook until a rough dough is formed (do not over mix). Knead the dough by hand for 10 minutes on a lightly floured surface until smooth and elastic. In a clean, lightly oiled bowl, place the dough ball. 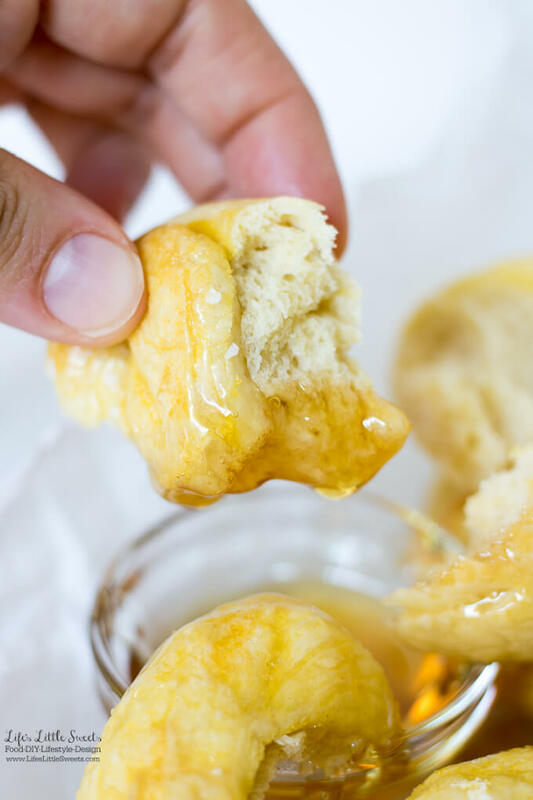 Coat the dough ball in the oil and cover with a damp tea towel or plastic wrap. Allow the dough to rise until it doubles in size (about 3 hours). The rising time will depend on the temperature of the room. When the dough is doubled in size, turn the dough out onto a lightly floured surface and knead for 2-3 minutes until smooth. Using a dough scraper, diving the dough into 16 even pieces. Roll each piece into a 14-inch long length. Cover the pieces while you work with each one so they do not dry out. Tie each 14-inch long piece into a knot, leaving a hole in the center. 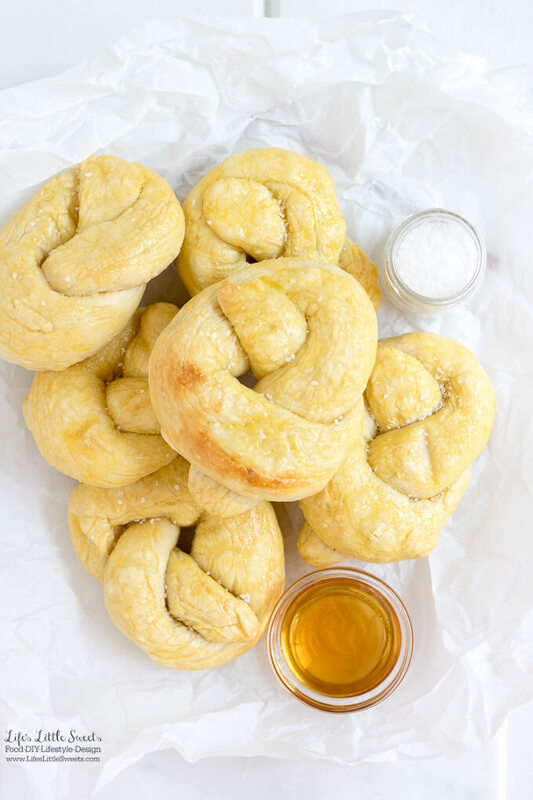 Place each finished knot on the prepared parchment paper-lined baking sheet. Allow them to double in size. Bring a large saucepan or Dutch oven filled with water to a boil. Add the remaining salt (from the 2 tablespoons amount) to the water. When the water is boiling, turn it down to a simmer. Poach the pretzels for 1 minute, you may need to do some at a time depending on the size of your pot of water. Using a slotted spoon helps with this process. Drain them on paper towels and return them to the parchment-lined baking sheet. Beat the remaining 1 egg and brush over the tops of the pretzels. Sprinkle the course salt over the tops of the pretzels. Bake 10-15 minutes until pale golden. When they are done baking, cool the pretzels on a wire rack. 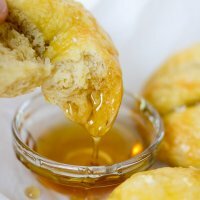 Serve with honey or mustard, enjoy! Total preparation time: 30 minutes plus rising time, total: 3 hours 30 mins. Boil time: 1 minute. Baking time: 10-15 minutes. 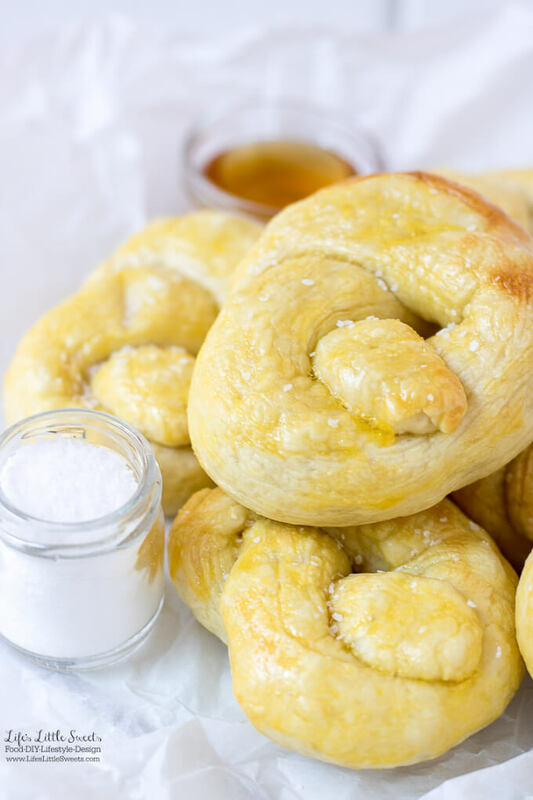 This recipe is inspired by “Pretzels” from Le Cordon Bleu Cookbook.